Scientists have found a remarkably well-preserved fossil of an ichthyosaur, a marine animal that lived 180 million years ago. How well-preserved is it? The specimen still has its skin and blubber intact! 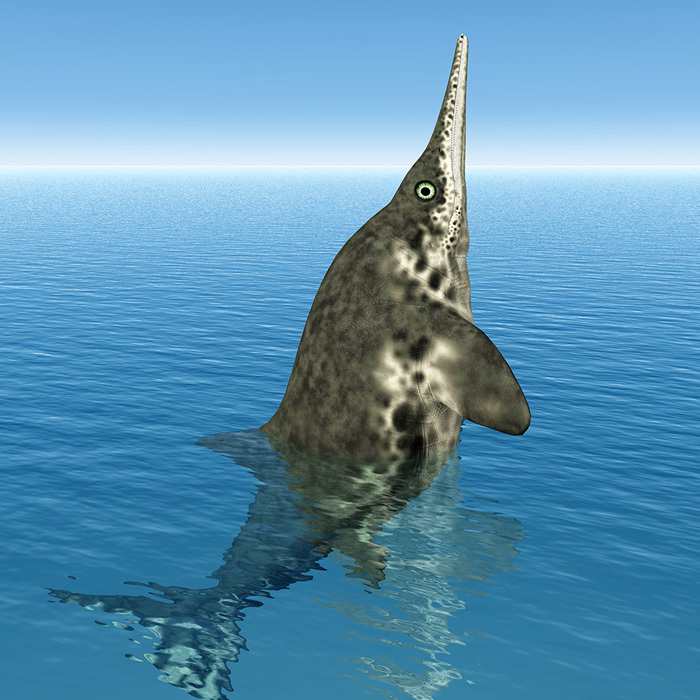 The ichthyosaur was an aquatic animal that resembled a porpoise with large teeth. But while porpoises are mammals, ichthyosaurs were reptiles. The specimen was discovered in a Southwest German quarry, where many other Jurassic-era fossils have been found. An international team of researchers studied the fossil using equipment that included an Agilent Cary FTIR microscope, an Agilent HPLC and a Varian GC/MS. The skin is still flexible and shows evidence of the animal’s camouflage pattern. Even more remarkable, the specimen contains fossilized blubber, the thick layer of fat found under the skin of modern marine mammals. This indicates that the ichthyosaur was a rare warm-blooded reptile.